Marvin Whitt comes to us with a passion for ministry to young people. 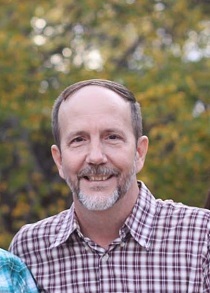 He has served in youth ministry related capacities since 1980, with his most recent being a Relief Houseparent with his wife, Josie, at Cherokee Home in 2014 and 2015. Prior to that he served as a missionary to the Philippines for 30 years, where he met his wife and raised his family. During that time he served as Director of Cebu Bible College of Theology and Missions for 12 years, which was preceded by work in various other capacities, including teaching at Cebu Bible College, church planting, working with World Bible School, doing campaigns and leadership extension training in remote areas, and other work. Prior to his going to the Philippines he served two years as a youth minister in Texas after graduating from Texas A&M University. His fundraising experience has always been connected to ministry, doing on-going fundraising for the Philippine work, Cebu Bible College and, more recently, as Outside Representative for Worldwide Spanish Literature Ministry from 2015 to 2018. Marvin has deep roots in Central Texas and with Cherokee Home, his parents coming from San Saba County and a grandfather who preached in the area and taught at a college that once existed in Cherokee. He spent time on the Cherokee Home campus several times with the “Aggies for Christ” campus ministry and when visiting longtime friends there over the years. Marvin and Josie have two daughters, one who is serving as a missionary in the Philippines, and one who is coordinating international student services at a Christian university.